Made a camera mount for EasyStar out of scrap coro. This is for my sony cybershot WX1 camera. Many more improvements are pending, like a velcro strap and a servo for the trigger. Made a test run today. every thing went fine but my stock easystar was strugling with the extra weight. but thats ok as i am upgrading to a brushless this week. This week end I had the plane ready to fly, all fixed up, vertical stab removed and re-glued. Did some test glides in the bushes but it kept banking to the right. Any ways I decided to give it a try and crashed the same way I did last week end. Then I fixed a coin under the left wing and the plane took off without any input. However the flight was a struggle as I the plane was nose heavy and I had an exponential on the elevator. I somehow managed to avoid the huge pancard club name boards. It was so windy that even on full throttle the plane kept drifting towards other side of the hill. But I managed to crash land it on my side of the hill. The plane was later recovered from the hill and flown till the Tx battery was drained out. Due to lots of crashes and other dangers and inconveniences involving heavy engine powered planes, I have finally decided to try my hand in electric powered planes. For the first plane I decided to start with a very popular German model Multiplex EasyStar. This is the most durable plane available in the world. Got the electronics and battery from a hobby store in Chennai. Went for the maiden flight last Sunday at Pancard Club, Pune. The weather was good but very windy. Having no experience of how electric plane react in wind I went ahead for the maiden and the results were not good. I was not able to get the plane flying. Actually electric planes have very less power and thus are made very light and therefor difficult to fly in windy conditions. Any ways here is the video. Camera works, sound effects and commentary by my lovely wife Sonam. Motor mount separated from fuse. Nose cracked at two places and bent. As the damage is only to the body, it is easily repairable. Hope to get it flying next weekend. Today a friend of mine was stunned by an update statement I wrote which updated a column by incrementing values. Actually it’s a very simple update statement construct but according to my friend, not many people know about. Here is an example statement used to update a column with incrementing number. If you want to use the incrementing number to perform some operation on the column to be updated then you can use this technique. Below is couple of update statements to get your ideas ticking. Last night I took a picture of the Moon with Venus just above the horizon. The picture has lots of noise and is in no way a good capture of the Moon. But considering the fact that it was taken with point and shoot camera, I think it’s wonderful that i was able to capture Venus in this image. Picture of Moon and Venus taken with a point and shoot camera. 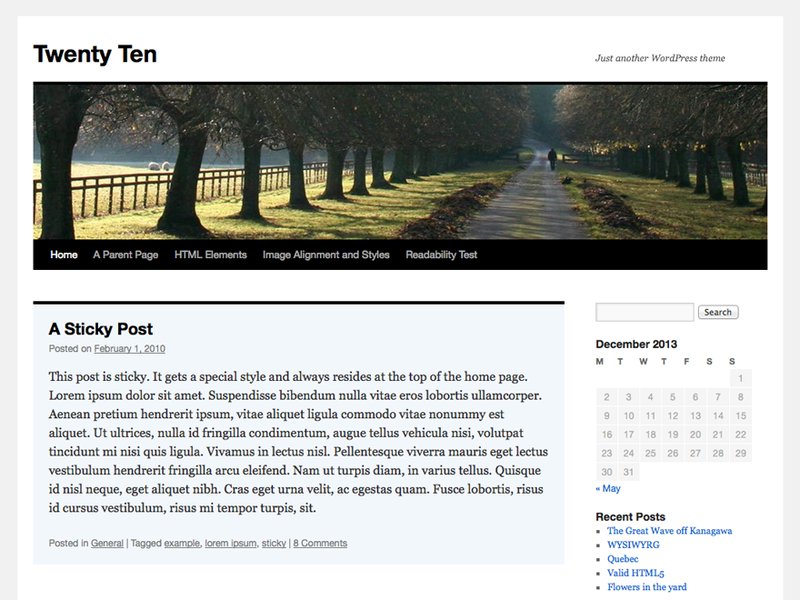 Just noticed that the Twenty Ten theme is up on wordpress.com. I have been waiting for this for a long time now. The theme is clean and sharp like the famous misty looks theme. How ever the most attractive feature for me is width of the content column. Unlike most themes, this one has a wide content column, so now all my images fit in nicely. I think it has 650px column width. I wish it had a 700px content column or customizable column width. You can put your widgets on the right sidebar as well as the footer. And I must say, the footer is exceptionally clean. Another good thing about this theme is the theme options. You can customize the background and header according to your liking. And surprisingly this is just about enough to give you blog a unique identity. The theme also has other common options like threaded-comments, sticky-post, translation-ready, microformats, rtl-language-support etc. This theme is a breeze of fresh air after the frustrations I had with the Under the Influence theme. That theme is great with lots of options but it has bugs and such. Any ways all I wanted was a wider content column and clean interface. And I think this theme is all that. Although Twenty Ten is a replacement for Kubrick as the default theme; I thing it sort of competes with Misty Looks and Dark Wood theme. And this one is definitely going to give new ideas to the theme developers, so we can expect more such themes in the future. Tip: You can put a Home link button on the navigation bar. Just don’t forget to put a space after the word Home, it should be “Home “. Replace the link with your blogs link and you done. You can keep content of the page blank. They have fixed this problem now, so you don’t have to add a home link yourself. There was a song I heard back in my school days, in the year 1998. I heard the song on TV and recorded it on a cassette player. I never saw it on TV again, but I had the recording. I loved the song because it was different. It didn’t fit any genre of the Indian music scene of that time, but I loved it. Then we moved to downtown Nagpur and in the process I lost most of my recorded tapes. By the year 2000 I started missing that song and I started looking for it every where but I was not able to find it. I didn’t even remembered name of artist or the album. So any way, time passed by and one day, in March 2009, during a chat with my brother I realized that he also remembers that song. Through all these ten eleven years he was the first person I found who knew about the song. In fact he remembered more that I did. He remembered some of the lyrics and he thought name of the artist was ‘Saurabh’. After goggling it for a few hours I became sure that the song doesn’t exists in the universe any more. Just before giving up I posted a message on Indian Guitar Tabs (a forum very popular with Hindi music lovers). This is what I posted..
hi guys.. i am lookin for this song i heard in my school days back in 1998 or something. i think the name of the artist is saurabh. i need this song. i have been looking for it every where since last 3 years :(. plz help me. After posting that message I decided to forget about the song altogether. With the correct artist and album name I was able to find the song on iTunes. I had the albums page in front of me but still was thinking this is not that album, not that song. All these doubts were shattered as soon as I clicked the preview track button. It was all goose bumps, nostalgia and chills through spine feeling. I was listening to that sound after twelve years. So finally I found the song, and here is the info I was looking for all these years. I have tried searching for a way to contact Shidharth so that I can thank him for such beautiful music. But the guy has no trace on the internet, no facebook account, no blog, nothing. If any one finds any info about the artist; do let me know. Edit: I have uploaded this song on youtube and have been able to get in touch with the artist because of it, pretty cool huh!